Never alone at vocal festivals! Are you a singer? – Do you want to go to an a cappella or other vocal festival, but you can’t get your whole group to come with you? – Or maybe you currently have no group? – Do you feel left out at a cappella festivals because you can’t perform there yourself? This is the answer: The Single Singers! Sounds like a dating agency? Well, it could be, but we are not! 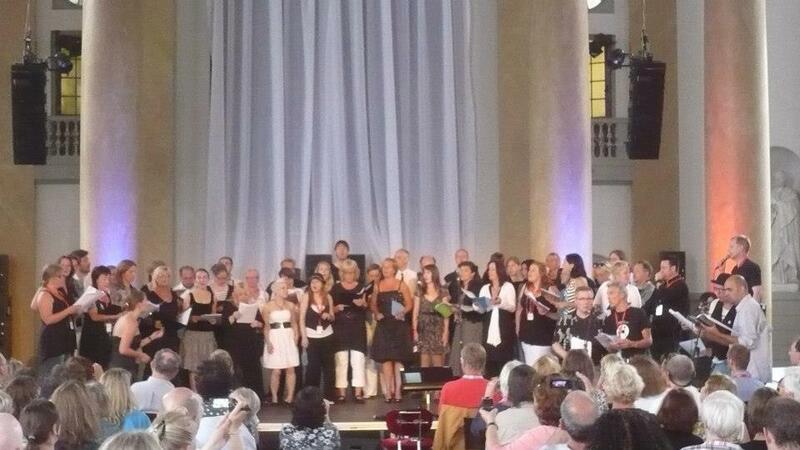 The aim of this website is to bring individual singers from around the world together to form a temporary vocal group that can actually perform at one specific festival. Check our Facebook page: The Single Singers, to see what we’re up to! If you’re visiting or organizing a vocal/a cappella festival and are interested in having or joining a Single Singers group there, contact us for the possibilities! And don’t forget the 10 Golden Rules! For more information, send an e-mail to info@thesinglesingers.com. We’ll be happy to answer all your questions! I would LOVE to receive info about the Single Singers! I am in Hendersonville, NC. I am 58; I sing alto.